Onkyo’s amplification philosophy focuses on capturing the energy and dynamism contained in the audio signal and reproducing it without loss. Why is Dynamic Audio Amplification Important? Audio signals are not static like a test tone, but rather a countless collection of constantly moving waves. 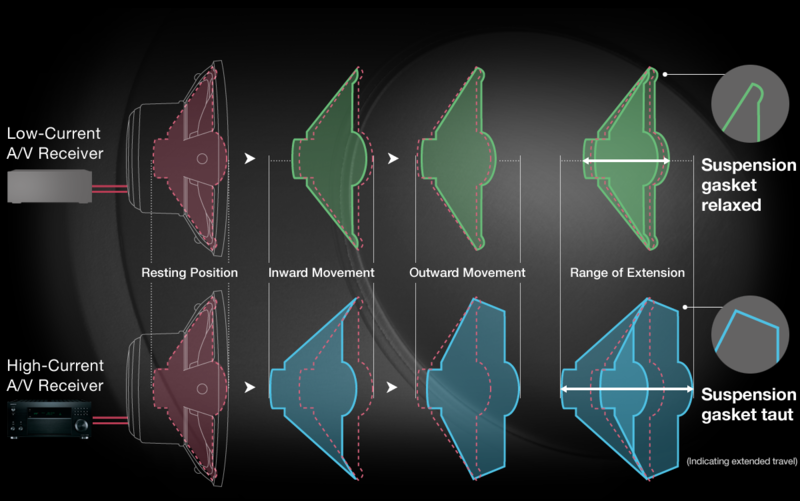 While static measurements such as S/N ratio and Total Harmonic Distortion are important, Onkyo believes that excellent dynamic and transient response is the key to emotionally involving sound. Dynamism—the “life” in music—is achieved when the amp can respond to changes in the signal instantaneously, so notes start and stop naturally and the nuances in attack, decay, sustain, and release are voiced with conviction. 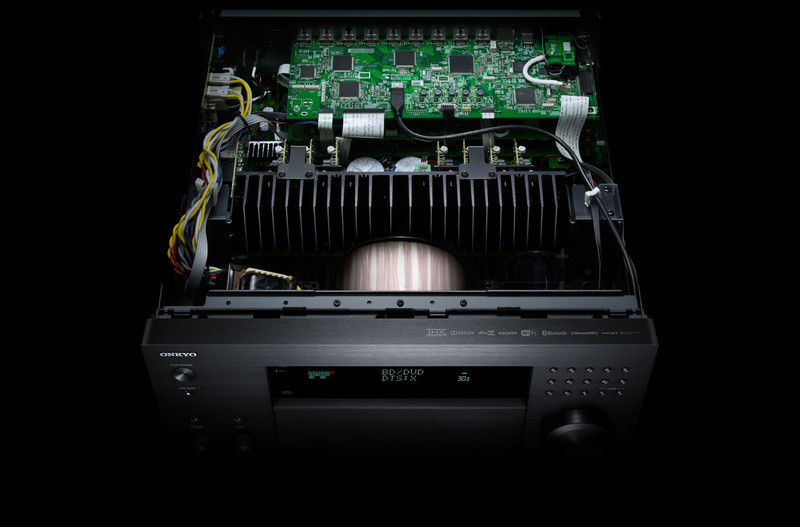 Onkyo home theater receivers represent the culmination of almost 70 years’ experience in amplifier design. The unique elements of our amplification system comprise high-current, low-impedance architecture to accurately control large speaker cones while enabling instantaneous response to dynamic changes, and discrete wide-range amplifier circuit topology to eliminate phase shift for clear and accurate audio imaging. The above chart shows current (vertical axis) versus time (horizontal axis). A bigger fluctuation represents higher current output, and as you can see, Onkyo delivers current well in excess of competitive products. Current grips the speaker cones and controls their movement. More current means the drivers produce sound that more closely matches the original input signal. Less distortion, better control, faster response, more realistic sound. A/V receivers with high-current capability can easily drive speakers with larger woofer cones. Without high current flow to control the cone, accuracy is sacrificed. Onkyo A/V receivers produce less distortion when driving larger speakers than comparable products without loss in accuracy. How is the Sound Different? High current from the amplifier extends the speaker diaphragm’s range of movement inwards and outwards so it can reproduce a wider spectrum of dynamic information contained within the signal with greater accuracy. This improves your speakers’ ability to reproduce subtle details and textures. A car with lots of power will not necessarily be a joy to drive. It also has to handle: braking, cornering, and smoothness are as important as outright horsepower. It’s the same with amplifiers. 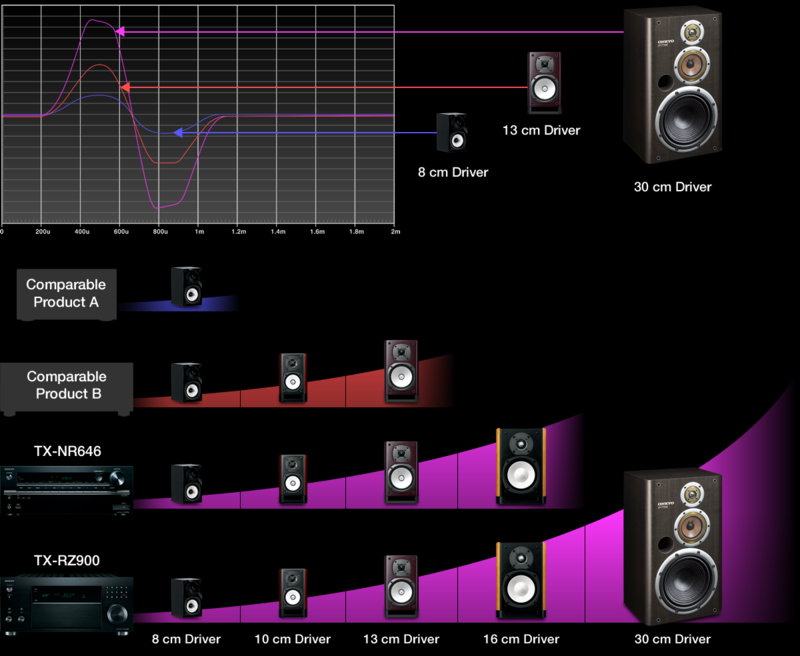 Watts deliver loudness, but it’s current that delivers the detail and dynamism in sound. If your amplifier does not produce enough current, your speakers will not perform to their fullest potential, and you’ll miss out on a fully immersive sonic experience. Onkyo’s Wide Range Amp Technology (WRAT) circuit layout prevents phase shifting by pushing the roll-off point higher than the listening-level frequency. Amplifying sound without phase shift creates an uncommonly well-focused and realistic audio image. What Happens If Phase is Not Accurate? If phase shift occurs and signal timing is not accurate, then neither is the resulting audio image. It is like playing a guitar with a warped neck—each note is misaligned and the sound image is distorted. Onkyo’s Vector Linear Shaping Circuitry (VLSC) reassembles the signal in its original form following digital-to-analog conversion. Unlike conventional filters, VLSC completely removes electrical pulse-noise generated during this process, allowing the soundwave to be amplified with exceptional fidelity. Pulse noise arises as an inevitable consequence of converting a digital audio signal into an analog signal. This high-frequency distortion can veil the audio image. 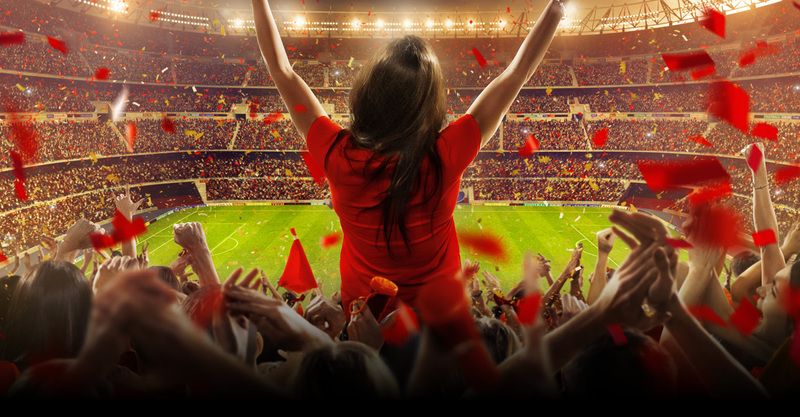 By comparing the input signal to the outgoing signal, VLSC is able to regenerate the original signal so the amplified signal is the same as what was captured on the recording. (4) The circuit then filters out the pulse noise and outputs a signal that very closely resembles the original. The digital input signal is converted to an analog signal by the DAC. It then passes through filters. 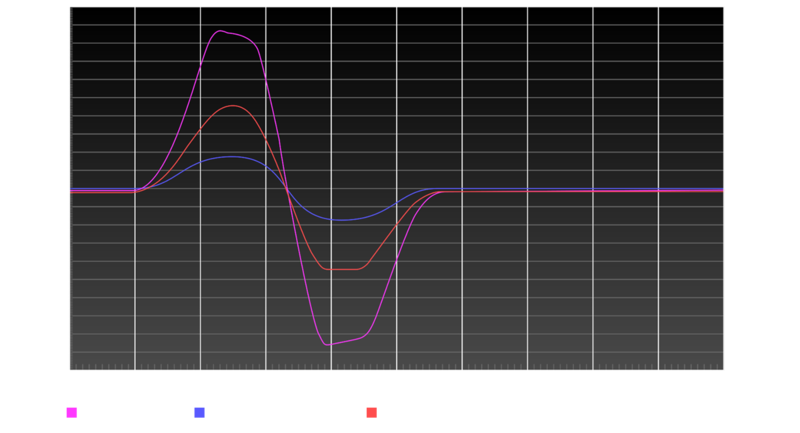 Conventional filters cannot completely remove pulse noise, and this processing distortion is amplified together with the original signal, compromising sound quality. Copyright© O & P Corporation. All rights reserved.